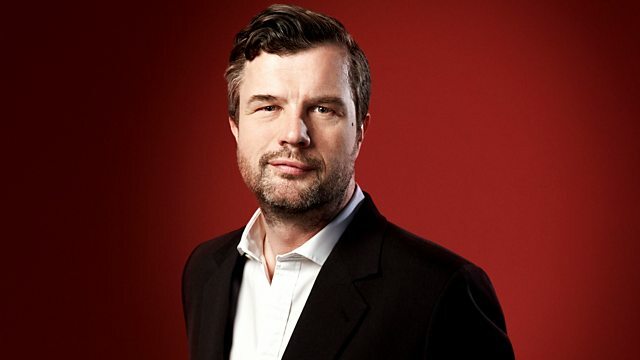 Petroc Trelawny presents Radio 3's classical breakfast show, featuring our musical Advent Calendar and listener requests. Orchestra: Slovak Radio Symphony Orchestra Bratislava. Conductor: Ernest Tomlinson. British Light Music - Ronald Binge. Performer: Daniel Hope. Performer: Simon Mulligan. Shostakovich/Penderecki/Part: Violin Sonata: Daniel Hope. Bach Cantatas, BWV 82 & 199. Performer: Steven Isserlis. Orchestra: Deutsche Kammerphilharmonie Bremen. Conductor: Christoph Eschenbach. Performer: Richard Pearce. Choir: BBC Singers. Conductor: Bob Chilcott. Ensemble: Royal Ballet Sinfonia. Conductor: David Lloyd-Jones. English String Miniatures vol. 3. Liapunov - 12 Etudes d'execution transcendante. Orchestra: Berlin Philharmonic Orchestra. Conductor: Rafael Kubelík. Singer: Kathleen Ferrier. Orchestra: London Philharmonic Orchestra. Conductor: Adrian Boult. Rameau: Suite Les Paladins: Orchestra of the Age of Enlightenment, Leonhardt. Ensemble: The Modern Jazz Quartet. Modern Jazz Quartet : The Last Concert. Ensemble: The Sixteen. Director: Harry Christophers. Performer: Midori. Performer: Robert McDonald.